Valborgsmässoafton, the Walpurgis night, is celebrated on April 30th. 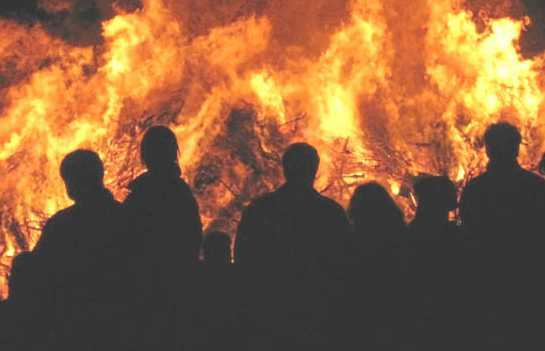 That's when Swedes gather around the huge bonfire, and sing special songs to celebrate the arrival of spring. In Vancouver we gather at Ambleside Beach in West Vancouver for a picnic. The Swedish school children entertain us with traditional songs and later on we all join in a sing along. The Swedish School students on Ambleside Beach bonfire and singalong.